Paul Stanton Duffett. 3rd October 1933- 19th September 2017. When my dad died I was with him amongst the noise of the busy ward of alarms, breakfast and impatient patients. I stood on holy ground as I held his hand and saw him leave this life into the next. At one point it felt like angels where crammed into the tightly curtained area around his hospital bed. 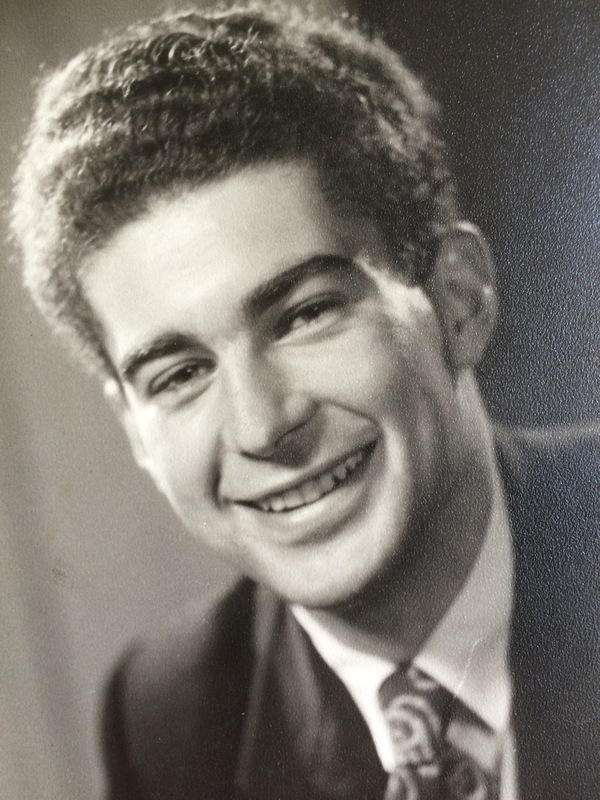 Today would have been Dad’s 84th birthday and I have the honour of saying some words of tribute to him. I really could talk all day about dad’s achievements and rich life but I shall try and stay focused! Dad was born on 1st October 1933 to Arthur Stanton and Francis Mary. He was one of 5 children, 3 sisters and one brother. Joy and Coral have died and his sister Daphne and brother Chris in America are still alive but not able to be with us today. Chris’ best friend is here on his behalf and there are also 2 nieces and 4 nephews too. Thank you for being here! It’s an apt 6 word story I believe, as Dad was quite an amazing sportsman as head boy at school. He broke Churches College half mile record, and when it came to the mile run there were great expectations! However, he had some disagreement with his teachers over the timing of the race after an exhausting school parade in the heat of the day and he decided as a protest he would cross the finish line with two friends holding hands which resulted in a riot amongst the boys! Dad loved Jesus. He really did. He showed his faith right until the end. ‘He’s such a lovely gentleman’ various nurses told us at the hospital. One ‘night-Porter’ had a difficult question about faith that had troubled him for years and Dad was able to help him. He ran the race till the end. His call to becoming a priest happened at University at a university mission. He was studying at Keeble College Oxford, where Tolkien and C.S Lewis where tutors. His plan was to become an English teacher. Instead dad went on to Rippon Hall in Oxford to train to become a vicar, via Malay and Germany where he served in the national service for a couple of years. His curacy was in Portsmouth for 4 years before he went to South Africa. The reason being is that the U.S.P.G (The mission agency that sent him) wanted someone to teach and encourage indigenous drama in the Zulu church. Dad went on to write and produce plays both in Zululand and also as a priest in England. When he arrived at his new home in the middle of nowhere in Zululand there was a man with a huge straw hat digging a hole. Dad stood and watched for a while as the man dug away, he then looked up and through a hole in the brim looked up at Dad and asked, ‘If I keep digging will I end up in hell?’ It was the only time Dad had a Theological Conversation with someone while they dug a toilet! In December 1979 we all left the heat and sun of Africa and arrived in the snow and lived in Hampshire where Dad served as vicar in Greatham and Empshot and chaplain to a Cheshire home for people with disabilities. He ran the race till the end. Even throughout the 19 years in retirement Dad continued to minister, not only on 2 Sunday’s a month here in Barton and also in Lolworth but also through offering Spiritual Direction and meeting people as well as serving with the Third Order of Franciscans as area minister as well as Mothers Union chaplain. It was only 8 weeks ago that he preached his last sermon here before officially retiring, retiring. The first year of his retirement seemed to shape the next 18 very well as he and mum enjoyed 3 weddings in just about a year! He walked Hanna down the aisle to Tom at her wedding proudly singing the opening hymn ‘tell out my soul’ and he married Mary and Alex and Ruth and me too. It was a busy year for mum and dad and one that set the tone for being very active with ministry and family. Dad loved Sweden and being in nature. The photo on the back of the order of service is Dad by a lake in Sweden with a bucketful of cloudberries. He also loved Assisi the spiritual home of St Francis and went and served as chaplain 5 times in his retirement. His faith wasn’t just a priestly, public one. He showed and lived a faithful life at home and with mum. Together they prayed for the family every day without fail and I really can’t think of a time where he had a ‘wobble’ in his faith, yes there were times ministry was hard but his rock like, steady faith is a great inheritance to Hanna, Mary and I and to the grandchildren! It is an inheritance that is worth millions, it is priceless. Money can’t ever buy such an inheritance. He was a dad we were proud of. Hanna remembers him speaking at her secondary school assemblies on topics relevant at the time. She felt so proud that he was a vicar and she wasn’t embarrassed when he stood up at school in front of all her friends. Mary has a lovely memory of Dad reading Rudyard Kipling in South Africa. Mary always loved hearing his voice, reading and singing. Dad served in Assisi as chaplain in his retirement and Mary remembers his sermon on Christmas day. He mentioned that there were many nativities in Assisi and how sometimes you had to look hard to see the figure of Jesus as so much was around him. He made the point that we need to look to Jesus and be careful not to lose him in all life’s business and distractions. He was a good granddad too. The Grandchildren loved him being Father Christmas each year, sitting around the Christmas tree with his red hat on, handing out the presents. He liked to share jokes around the table, sometimes telling us things we weren’t expecting like funny spoonerisms. He was for us a useful babysitter too, even if we did have to be home fairly early so that he could get to bed. As children we would have long summer holidays in Sweden each year with mum and dad. This was such a treat for us! Some years the crossing over on the North Sea would be stormy. Dad was able to withstand the gales and strong waves whilst everyone else were in their cabins being sea sick. This epitomised to us what he was like: strong, stable, safe and dependable. “I always found it very easy to talk with Paul about matters that were serious, for example, our faith; and others less serious – rugby, football, and I enjoyed having a quiet word with him about his sermons which were always well crafted and to the point. I loved his enthusiasm for the pantomimes which he entered into with such enthusiasm. On behalf of the Duffett family we want to thank you so much for coming today for your lavish support and love for mum. Mum has received so many cards and flowers. Thank you! One of the last times I prayed with Dad he went through a list of people’s names that he faithfully lifted to the Lord- it was a loooong list of people, those part of the Franciscan group, people in the village and of course his family. 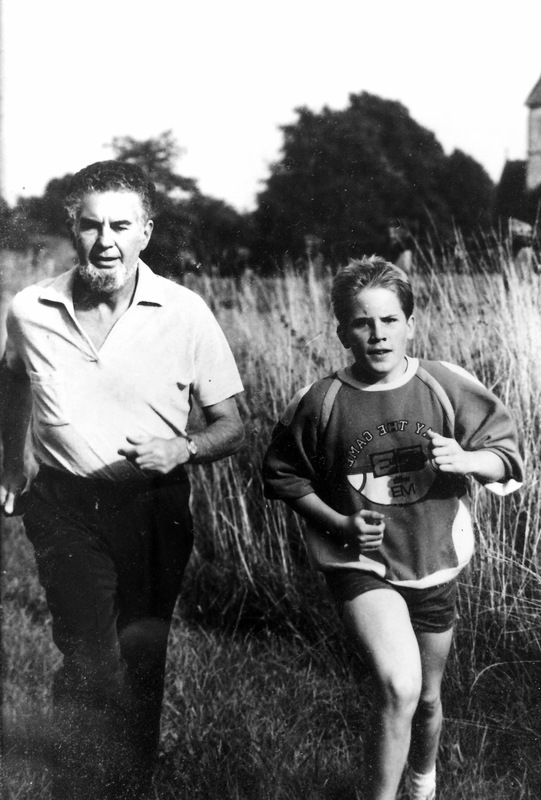 He believed in prayer and I want to end with a blessing over each and every one of you: May you, like my dad, have the faith to run the race till the end. Amen. Absolutely beautiful man! Praying for you all! Thank you,I did not know your dad had died, I only met him a few times ,as a lad my mum and Dad would go to see your Grandad Arthur at Horndean. The last time I met him was at funeral of his cousin Ena. Thanks Roger for your note!